Moar Toggle! 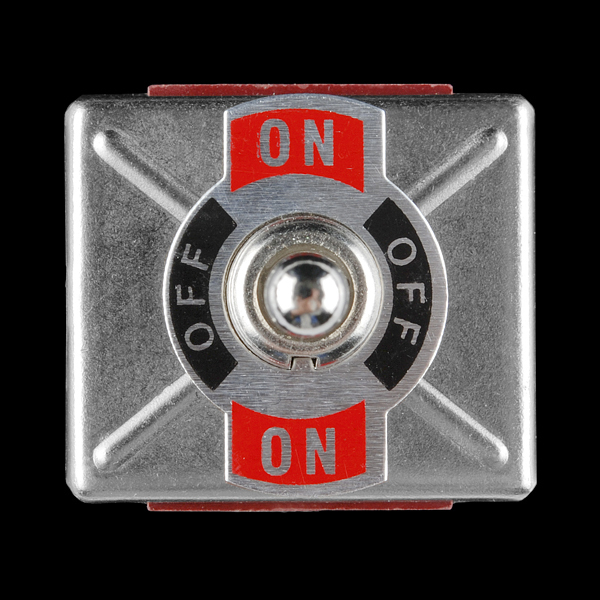 This heavy-duty, 4-pole, double throw toggle switch is rated for up to 15 Amps of current and includes a faceplate for panel-mounting. The picture here shows what looks like spade connectors. 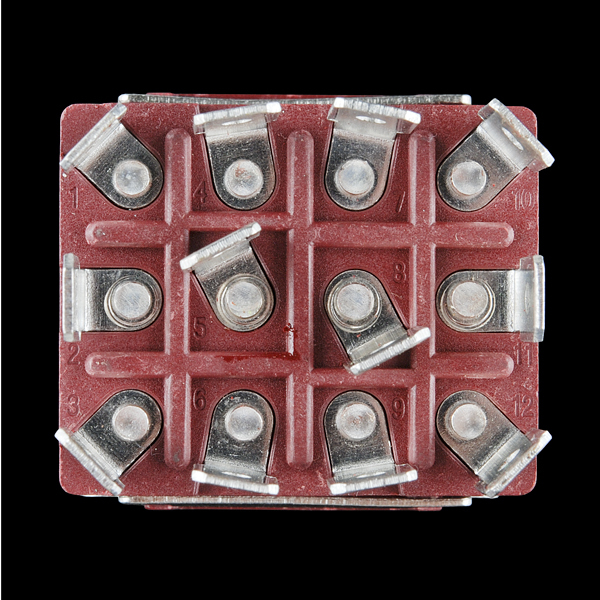 The datasheet picture is screw connectors. Which is it? 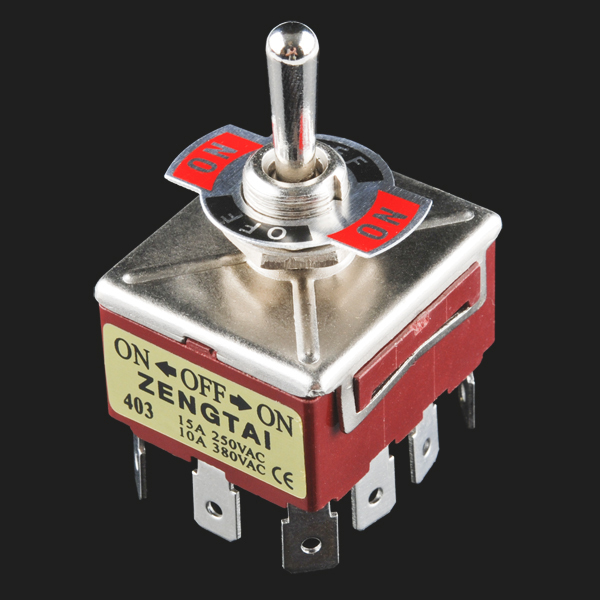 The switches I bought came with spade connectors, it looks just like the product pictures. Is this 15A per pole or total? 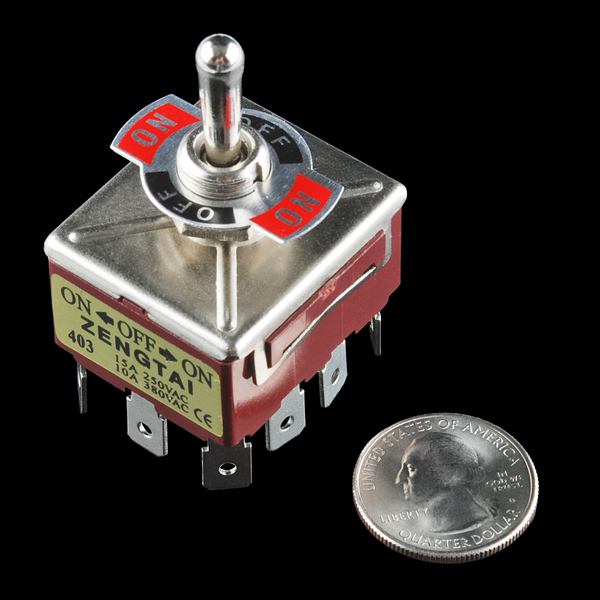 The rating printed on the switch is "15A 250VAC, 10A 380VAC", and current ratings are typically per contact.